Are you thinking of updating your home to sell it for a higher dollar amount? Remodeling your home to sell can be both mentally and financially rewarding if done properly. It can also be a nightmare on your mental health. Here are 5 common mistakes sellers make when remodeling their home to sell. According to FSBO.com, the biggest mistake sellers make when remodeling their home to sell “is expecting to get a dollar-for-dollar return on their upgrades” The owner may think, “My house is worth $15,000 more than the house down the street. I spent $15,000 on my kitchen.” While home improvements can add value to your home, it is rare that there is a dollar for dollar match. Kitchens are often assumed to be the greatest dollar for dollar increase at around 80% return. Often homeowners spend several thousands of dollars on kitchen upgrades only to not get the return they were hoping for. 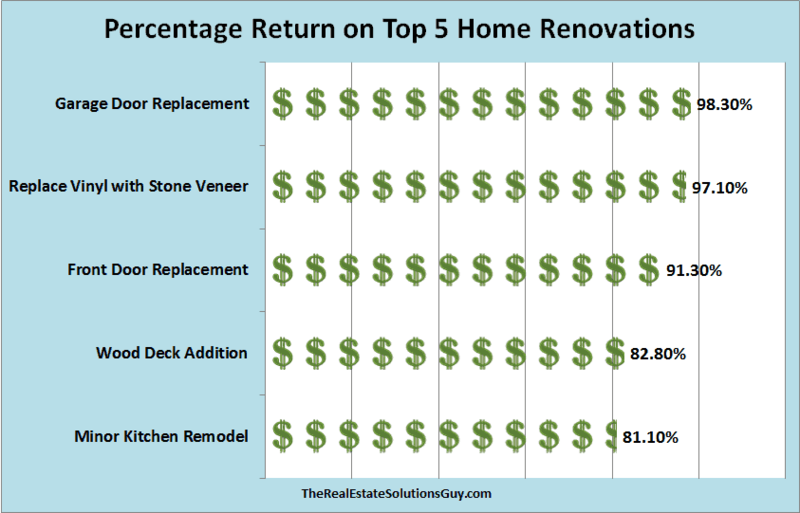 According to Remodeling Magazine’s Cost versus Value report, there a cheaper renovations that may give you a higher return. If you are shopping for contractors you must have a scope of work. Just as important, the scope of work must be identical for each bid. If you have a different scope of work for each contractor, you will never be able to accurately determine your budget. One of your biggest enemies of staying on budget is what we call scope creep. Your job scope changes as you go along. There are two sources of scope creep. Contractors – Often your contractors will have great suggestions for you as they walk through your house. However, don’t let contractors change the scope of work from your original scope. Their suggestions may be helpful, but these changes won’t let you compare bids accurately. Instead, if your contractor suggests changes to your scope of work, ask them to bid that item separately. The homeowner -As your project moves along, you will see things that need changing. You need to understand that you are biggest obstacle to limiting scope creep. As one real estate agent put it, “Once you start renovating, it’s easy to catch the home remodeling fever. You want to update everything.”It’s easy to justify the changes. It starts by our saying, “While we’re at it…” Every time we say that, we just added dollars to our project. There will be things you decide to change that were not in your original plan. However, these should all be determined and decided upon before you select hire contractor. Did your project scope change after you had a bid from a contractor? That’s fine. Just make sure you submit a revised scope of work from all the contractors before choosing your contractor. A contingency budget is not in case you change the scope of your project. If you decide to replace your kitchen cabinets instead of painting them isn’t a contingency. It’s a scope change. A contingency budget is for the repairs that you don’t know about until you are in the middle of the project. They can range from a few dollars to several thousand dollars. It might be as simple as needing to change the water shutoff values under a sink when you replace a counter top. They can be as expensive as finding dry rot or termites when you redo your bathroom shower. Not having a contingency budget can mean the difference between finishing your project or not finishing it. Does it make them excited to see the inside? Or do they it’s just another house. Is the lawn green and are the edges trimmed neatly? Are your trees and bushes trimmed? Do the planter beds have nice fresh mulch? If it’s seasonally appropriate, do you have flowers that are blooming? You can hire a landscaper to do this for you, but a homeowner can usually do all that is necessary in a weekend for a few hundred dollars.